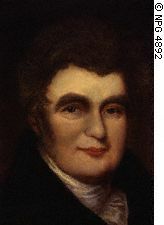 William Jay (1769-1853) although well known in his day, is all but unknown in our time. He faithfully pastored the same church in Bath, England for sixty-three years until his death. During this time, he wrote two excellent devotionals, entitled Morning Exercises and Evening Exercises. We have a selection from the first-mentioned book on resisting the devil. If this admonition be connected with the words immediately preceding, "Be ye angry, and sin not: let not the sun go down upon your wrath," the apostle intimates that sinful passion arises from the influence of the devil, and that, when it prevails, we give up ourselves to his power. And can there be a truer specimen of hell than a man in a state of fury and revenge? But there is nothing in the case that requires us to confine the address to the repulsion of wrath. The truth is, that Satan has access to us, and in various ways is always endeavoring to encroach upon us; and it must be our object to repel him. The image is familiar and striking. If an enemy was trying to enter your field, your garden, or your house, you would withstand him, for you would see that as you yielded he advanced. In every successful temptation Satan gains upon us, and takes a position which we ought to have kept. With the philosophy of this subject we have nothing to do, but only with the fact itself. The sacred writers as much support the doctrine of diabolical agency as of divine. They make use of the same terms and phrases in the one case as in the other. Is God said to open the eyes of our understanding? Satan is said to blind the minds of them that believe not. Is God said to work in us to will and to do? Satan is the spirit that now worketh in the children of disobedience. Are Christians filled with the Spirit? Why, says Peter to Ananias, has Satan filled thy heart? But while the fact is proved, nothing is said of the mode in which his operations are carried on. We cannot think, however, that it is always done personally and immediately. This would involve an impossibility. If he were thus soliciting every individual in every part of the earth at the same time, and his work is always going on, he must be omnipresent and omniscient. But he is the god of this world; and having under him all that is in the world, the lust of the flesh, the lust of the eye, and the pride of life, and having all the errors and the wickedness which he has introduced into our region to make use of, and such a depraved nature as ours to work upon, he has power enough to employ mediately for all his purposes. The bird need not be afraid of the fowler if he keeps away from his gun and his snare, for he is not in much danger from his fingers. How is the fish taken? The angler does not wade into the water, and seize it in his hand. He does not even see his prey; but he reaches it and secures it by a baited hook at the end of his line and his rod. Yet he catches the fish, and would do the same if his instrument was a mile long. There are many reasons why we should not give place to the devil. One is, because his designs are always bad. He may transform himself into an angel of light; and he may endeavor to introduce his evils and mischiefs under specious names, representing covetousness as laying up for the children, and pride as dignity, and revenge as a becoming spirit, and trimming in religion as prudence, and conformity to the world as winning others. Thus we are hardened through the deceitfulness of sin. But we ought not to be ignorant of Satan's devices. We read of his depths and his wiles. And God in his word tears off all his disguises, and shows us at once that his aim is only to ensnare and enslave, and rob and degrade, and wound and destroy. He therefore that yields wrongeth his own soul, and loves death. Another is, because the more you give way, the more advantage he has over you. It will always be found much more easy to keep him out, than to get him out. When the Moors were admitted into Spain, they staid there for more than six hundred years, in spite of every groan and effortï¿½so much harder is expulsion than exclusion. Let us therefore avoid parleying with this enemy. He will rise in his demands with every concession. He is not to be treated with, but rejected. Let us guard against beginnings; they increase unto more ungodliness. In this down-hill course we easily proceed from evil to evil. When a person walks out in the morning clean in his apparel, he is cautious how he treads, and the first soil he contracts affects him; but the second offends him less, and the third much less still, till he says, "It matters not now," and heedlessly dashes on. The youth is not profligate at once; but evil communications corrupt good manners. The first time he complies with a temptation he feels a reluctance, and after the crime is committed his conscience smites him. But a degree of this is overcome by every subsequent repetition, and the profaner of the Sabbath, and the drunkard, and the sensualist, go boldly on, waxing worse and worse. One sin naturally leads to another, prepares for another, pleads for another, and renders another necessary, either by way of concealment or finish. Thus David, to hide his adultery, commits murder, and then impiously ascribes this to the providence of God: "The sword smiteth all alike." Another reason is, because you need not yield. You are not forced. If the devil compelled you, he would also justify you, for there can be no guilt where there is no liberty. The motives to commit sin can never be so great as the arguments to forbear. What can weigh for a moment against the authority of an infinite Being on whom we entirely depend? And what is any indulgence or suffering, compared with endless happiness or misery? Would God have enjoined upon us a thing that is impracticable? And is not his grace sufficient for us? And is it not attainable by us? Is not his promise true: Ask, and it shall be given you? And, in the history and experience of his people in all ages, do we not see proof of this? Have not multitudes in the same condition, exposed to the same perils, feeling the same weaknesses and depravity, been more than conquerors? Finally, resistance is the way to success, and insures it. Hence, says God, resist the devil, and he will flee from you. Can God be mistaken? Can he deceive? And does not every one know that persons slacken in any course or action in proportion as they want encouragement? For hope is the mainspring of motion. If a beggar be relieved, however slenderly or seldom, he will in extremity repair to the door again, but not if he be positively and invariably refused. Resist, therefore, steadfastly, and show that you are in earnest and determined. For there is a heartless undecided refusal that invites renewed application, or at least does not shut the door entirely against importunity. If Satan cannot look into the heart, he is acquainted with the ways in which it shows itself, and is sure to know whether there is a latent wandering after what is professedly renounced, and so will be led to watch his opportunity, and ply his means. But the apostle adds, Resist him steadfastly, in the faith. There is no fighting on a quagmire. Faith furnishes the only solid, the only safe ground on which we can contend. Faith clothes us with the whole armor of God. Faith connects us with the Captain of our salvation, without whom we can do nothing, but through whose strengthening us we can do all things. And his shall be the praise."